Happy Spring! Now that the days are longer and the nights are starting to get warmer, we can finally put our heavy coats and gloves in the back of the closet knowing that Winter is behind us. As we come out of hibernation and get a dose of fresh air, it’s time to revisit the great outdoors - run through the park, grab a friend for a tennis match, take a family bike ride, explore a new hiking trail - the options are endless throughout DuPage County and the surrounding Chicagoland area. 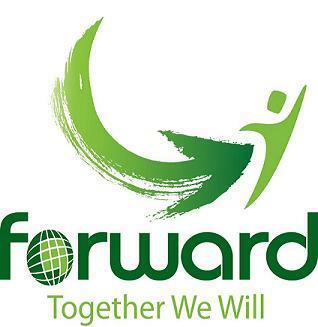 To that end, FORWARD is also out of hibernation and excited about the events happening in the next few months. This newsletter is packed with both educational and informational opportunities. We hope you will take advantage of the many activities listed below. As we look ahead, there is one event, in particular, that we hope you will mark your calendar for, FORWARD’s 2017 Coalition Meeting. It will be held on Thursday, June 22nd at Danada House in Wheaton. Come hear about FORWARD’s future plans, recent activities and learn more about Metabolic Syndrome and the Role Obesity Plays in this Complex Cluster of Disorders. Metabolic syndrome is a cluster of conditions - increased blood pressure, high blood sugar, excess body fat around the waist, and abnormal cholesterol or triglyceride levels that occur together, increasing the risk of heart disease, obesity, stroke and diabetes. Beyond the significant personal toll, obesity and its related health complications are driving up health care costs and threatening employers’ bottom lines. Our upcoming meeting will help shed light on this complex health issue and help you re-evaluate your nutrition and physical activity choices to help overcome these conditions. Just as important, come to network with colleagues from across the county, enjoy a healthy breakfast and hear about important opportunities to improve healthy lifestyles for yourself and DuPage residents. Register now! We hope to see you in June. In the meantime, grab a healthy snack, get moving and enjoy Spring! B.R. Ryall YMCA is one of FORWARD's many partners improving the health of their community. They offer many amazing programs. Three programs in the “spotlight” are the YMCA Diabetes Prevention Program, the CATCH Early Childhood Program and the Y Kids Fitness Program. The YMCA’s Diabetes Prevention Program is based on the landmark Diabetes Prevention Program funded by the NIH and the CDC, which showed that by eating healthier, increasing physical activity and losing a small amount of weight, a person with Pre-Diabetes can prevent or delay the onset of type 2 diabetes by 58%, and 71% if over 60. This evidence-based program launched on February 13th, 2017. It is a year-long program where participants come together and are accountable for the incremental steps they take to develop a healthy lifestyle. The goal for each participant is to reduce weight by seven percent and increase physical activity to 150 minutes per week. The CATCH (Coordinated Approach to Child Health) Early Childhood Program is in place to launch kids ages 3-5 toward healthier lifestyles. This program enables children to identify healthy foods, and increases the amount of physical activity children engage in each day. The program uses terminology for identifying healthful foods – Go and Whoa Foods. The CATCH program has been proven to prevent childhood obesity with as much as an 11% decrease in overweight and obesity. The Bright Beginnings Students develop healthy habits at a very early age while having FUN! This program will be introduced at the Y Summer Camp for all ages. The Y Kids Fitness Program puts kids in charge of their own physical fitness and well-being, while educating and empowering them to make healthy choices that last throughout a lifetime. Youth can become physically stronger, have more endurance, and experience a sense of joy and fun through participation. The CATCH Early Childhood Program and the Y Kids Fitness Program instill healthier habits and a fun approach to physical activity, setting youth on a better path to become confident kids today and healthier, happier grown-ups tomorrow. For more information on any of these programs contact Katie Sivak, ksivak@ryallymca.org, 630.547.2022 or visit their website to register. An Illinois statewide drink tax poll was taken and here are a few highlighted results. 73% support taxing sugary drinks by one cent per ounce. 74% would rather raise the tax on sugary drinks than expand the list of taxable items like food and medicine. 54% voted for the money to be dedicated to improving public health through community health programs, access to healthy food and preventative health care. In Philadelphia, the city’s sweetened beverage tax raised $5.7 million in January, more than double what was projected. The revenue will be used to expand Pre-K programs in the city. Share this great news about Philly’s sweetened beverage tax with your lawmakers today. Ask your representative and members of the House Appropriations - Human Services Committee to sign on as a co-sponsor of HB 6027 . This establishes $1 million dollars of state funding per year for double-value coupon programs for SNAP recipients at farmers markets in Illinois. Do healthy lunches improve student test scores? The intense policy interest in improving the nutritional content of public school meals—in addition to vendors’ efforts to market their school meals as good for the body and the mind—sparked the researchers’ curiosity and led to an unexpected discovery: Students at schools that contract with a healthier school-lunch vendor perform somewhat better on state tests—and this option appears highly cost-effective compared to policy interventions that typically are more expensive, like class-size reduction. Read the full article. According to the U.S. Department of Defense data 71% of young people in Illinois, and across the country, are ineligible for military service. Nearly a third of them (17-24 years old) are ineligible because they are overweight or obese. Eliminating the daily physical education (PE) requirement in schools would not only put our kids’ health and academic success at risk, it could hurt our military readiness. Sign the petition to legislators asking them to maintain the daily PE requirements in Illinois. Spread the word! The award recognizes those in sport who have an innovative and collaborative approach to making their communities a healthier place to live. Apply now. Attend this one-day learning and networking experience for employers and professionals in the Workplace Wellness industry. Register today. Learn from some of their partners on tools, resources and work being done to make sure every community member has safe, accessible, and enjoyable places to be physically active outside. Register today. Learn about the Transit-Walkability Collaborative, understand the compounding, multi-faceted benefits of walkable, transit-rich communities, receive an invitation to participate in a national survey and much more. Register today. Learn about our volunteer opportunities and sign up for our spring garden builds and coaching. Stay for our presenters who will motivate you to make the best of your garden this year. Register today. Join us at DuPage County's premier gardening event. It will feature perennial plant and craft sales, cultural and children's activities, entertainment, and great food. Come out and fill your garden with great prices. Find out more. Every Kid Healthy Week, launched by Action for Healthy Kids (AFHK) in 2013, is an annual observance on the calendar of National Health Observances that celebrates school wellness achievements. Observed the last week of April each year, this special week shines a spotlight on the great efforts schools nationwide are doing to improve the health and wellness of their students and the link between nutrition, physical activity and learning — because healthy kids are better prepared to learn! This year, FORWARD and Action For Healthy Schools, invites you to join us. Anyone can get involved and be a part of the celebration to help support sound nutrition, regular physical activity and health-promoting programs in schools. Every Kid Healthy Week will be held April 24-28th this year. Help us celebrate your school’s wellness initiatives and inspire new ideas to promote healthy eating, nutrition education and physical activity. Schools can show their commitment to wellness by hosting an event that focuses on healthy kids and families. Parents can encourage their children’s schools to host an event, volunteer and keep the celebration going at home. For more information or to look for a new idea for your Every Kid Healthy Week event, visit EveryKidHealthyWeek.org for free resources, activities and inspiration. Then tell us at FORWARD what you are planning or did, by contacting Tonia Batogowski at toniabato@gmail.com, so we can share in your excitement! Hosted by Illinois Action for Healthy Kids (IL AFHK), conference sessions will highlight successful school health and wellness-related outreach in schools, innovative projects that improve the overall health of the school community, and emerging issues impacting school health and wellness. Register today. The national event is part of the movement for year-round safe routes to school and invites communities to bicycle as a healthy way to make the commute to school. Find out more. The program helps schools buy and serve more locally grown food, while teaching students about healthy eating, nutrition and agriculture. It increases education around that food. Find out more. This is a health promotion and education program offered free of charge to children 8-14 that are struggling with their weight. The program is comprehensive, all-inclusive, and treats the whole child, physically, nutritionally and emotionally. Find out more. This is a fun and exciting opportunity to participate in a real, organized race (run/walk), catch up with your PAK friends and coaches, enjoy a fitness activity as a family, practice running or walking, and have a fun Saturday morning. Register today. This is a two-part webinar series. Call Abby Radcliffe at 217.541.1178 with questions. Register today. Learn more about the forum, including sponsorship opportunities, and sign up for registration updates. Help Market the FOWARD Initiative! Help Market the FORWARD Initiative! Do you know of an upcoming event or health fair in DuPage County? We have marketing materials available for our coalition members. Please contact us if you are interested in distributing health and wellness materials at an upcoming event. Call us at 630.221.7550 or email healthpromotions@dupagehealth.org.